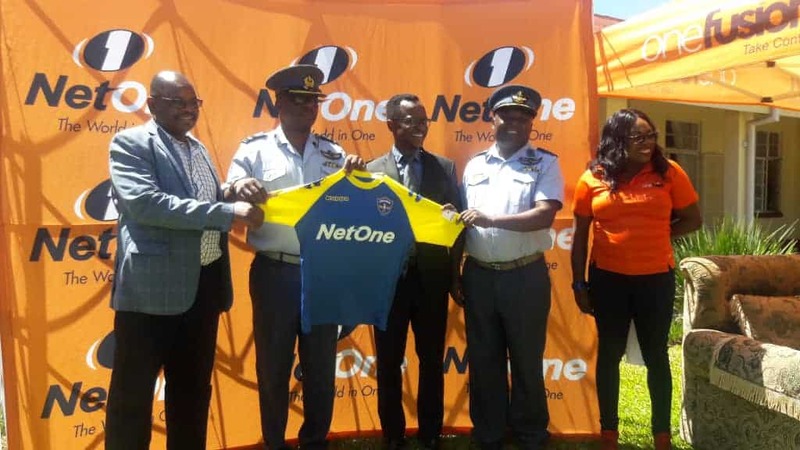 One of the country’s leading mobile operators NetOne breathed life into their sponsorship package with Gweru based Airforce side Chapungu FC when they injected RTGS$170 000 for the 2019 Castle Larger Premier Soccer League season. The sponsorship deal was officially handed over by the NetOne Chief Executive Manager Mr Lazarus Muchenje at the Josiah Tungamirai Airbaise, making Chapungu FC officially part of the five teams being accorded such sponsorship by the mobile operator, including Dynamos, Highlanders, Black Rhinos and Caps United. The club got an official RTGS$120 000 sponsorship with an additional RTGS$50 00 for player and technical team incentives. Mr Muchenje, said the company extended the sponsorship this year after the team proved worthy to it and having considered the ever escalating economic current environment. “We have given you RTGS$120 000 this year which is more than 50 percent increase from last year with an additional RTGS50 000 meant for players and technical team incentives such as winning bonuses, travel and accommodation, food and refreshments, team kit and other things to ensure the whole team is motivated. “We will stand by Chapungu FC into the future until the team is self-sustainable. Now the honours is on you players and technical staff, if you want to make more money this season, score more goals and maintain clean sheets,” Muchenje said. He said what has attracted the company to the club is that Chapungu is a brand which has brought together both airman and civilians playing together and his vision of football in the country is for it to become an asset that generates money and creates a culture of celebrating our own footballers like in other countries. The event’s Guest of Honour Base Commander Air Commodore Elisha Masakadza challenged the club to a top six finish this season after surviving relegation by a whisker last season, an escape he attributed to last year’s mid-season sponsorship by NetOne. “We are delighted to be associated with NetOne which is a partnership that dates back to 1996. NetOne officially came on board last year in 2018. “We could have been relegated last season after serious financial challenges with players not getting their winning bonuses and incentives but the timeous intervention by NetOne in the second half of the season ensured we stayed in the top flight leagues,” Base Commander Masakadza said. “This season we are aiming for a top six finish, which is a must for the club so that we make our sponsor proud. This season NetOne is going to be a sponsoring a Super 8 Cup for the top teams last season, unfortunately we won’t be part of that this year but if we finish in the top six next season we will be there,” said Masakadza.